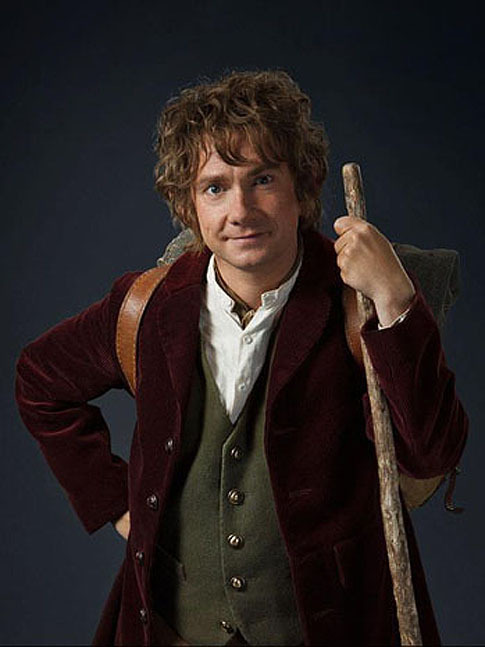 You want to get to know the characters in the much-anticipated “The Hobbit: An Unexpected Journey”? Then here's the post you have been waiting for. Our guide awaits you after the break. BILBO BAGGINS (Martin Freeman). Like all Hobbits, Bilbo Baggins is fond of his comfortable existence; all he needs to be happy is a full pantry and a good book. When the Wizard Gandalf and 13 Dwarves unexpectedly appear on Bilbo’s doorstep and invite him to join them on a dangerous adventure, Bilbo’s life changes forever. 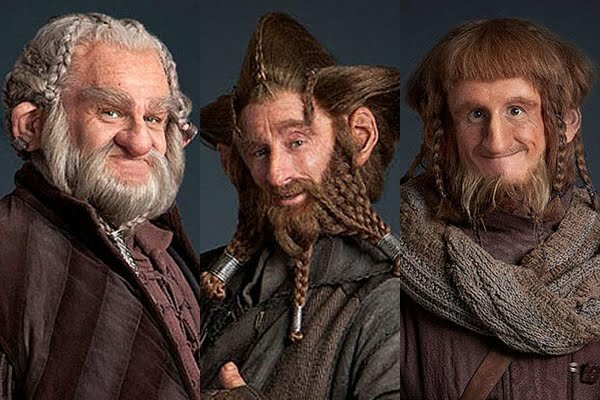 Initially skeptical of the invitation, Bilbo’s spirit of adventure leads him to join the Company of Thorin Oakenshield and become the “burglar” required to complete their quest to outwit a ferocious dragon and reclaim the Dwarves’ stolen treasure. To everyone’s surprise, including his own, Bilbo’s wit and courage prove that there is indeed more to this Hobbit than meets the eye. THORIN OAKENSHIELD (Richard Armitage). As a young Dwarf Prince, Thorin witnessed the destruction and terror wrought when a great fire-breathing dragon attacked the Dwarf Kingdom of Erebor. When no one came to the aid of the surviving Dwarves, a once proud and noble race was forced into exile. Now, as the strong, fearless fighter and respected leader of The Company of Dwarves, Thorin is determined to reclaim his homeland and destroy the beast that brought such misery upon his people. GLOIN (Peter Hambleton). Of all the members in The Company of Dwarves who set out on the Quest to The Lonely Mountain, Gloin is the most outspoken and opinionated and is not afraid to challenge authority. He has a tendency to be quick-tempered, but he is also strong, brave and loyal. OIN (John Callen). Along with his brother Gloin, brave Northern Dwarf Oin is a distant cousin of Thorin Oakenshield. Well read with an enquiring mind, Oin is the healer among the Company, often applying an herbal salve of his own invention – which has since come to be known as ‘ointment’ after its maker. BALIN (Ken Stott). A descendant of nobility and a Dwarf Lord in his own right, Balin is one of the oldest members of The Company of Dwarves. Wise and gentle by nature, he has been forced to live a life fraught with war and the ongoing struggle for survival. 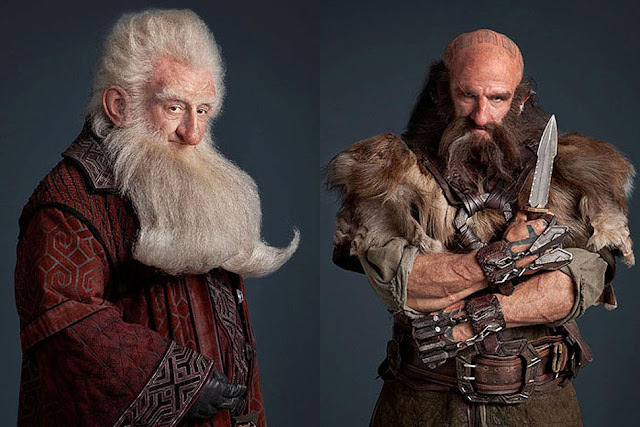 DWALIN (Graham McTavish). Renowned as a great Warrior, Dwalin speaks his mind plainly and is not one to suffer fools lightly. 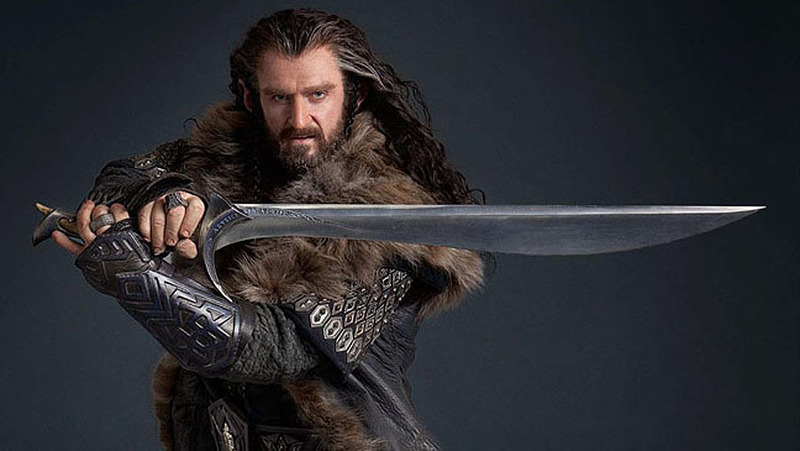 Fiercely loyal, he is Thorin Oakenshield's staunchest supporter with an unshakeable belief in his friend's leadership. 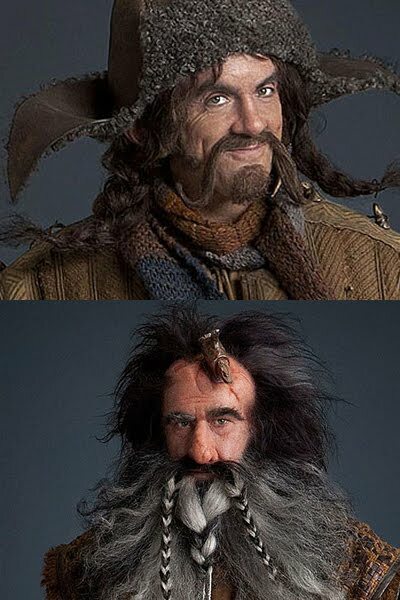 BOFUR (James Nesbitt). Endearing and likeable, Bofur has a disastrous tendency to state the obvious and blurt out things without thinking. With a love of music and a fine singing voice, Bofur delights in good food and good company and is unfailingly optimistic. 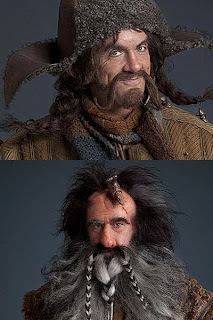 BIFUR (William Kircher). 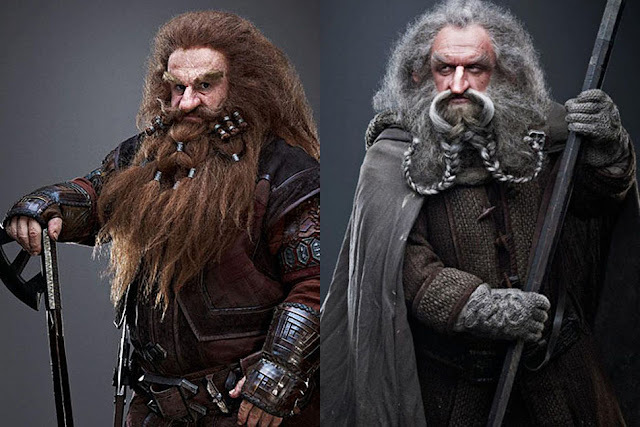 Born in the West, Bifur has the rusting remains of an Orc axe embedded in his forehead, which has rendered him inarticulate and occasionally feisty! He communicates only with grunts and hand gestures. KILI (Aidan Turner). 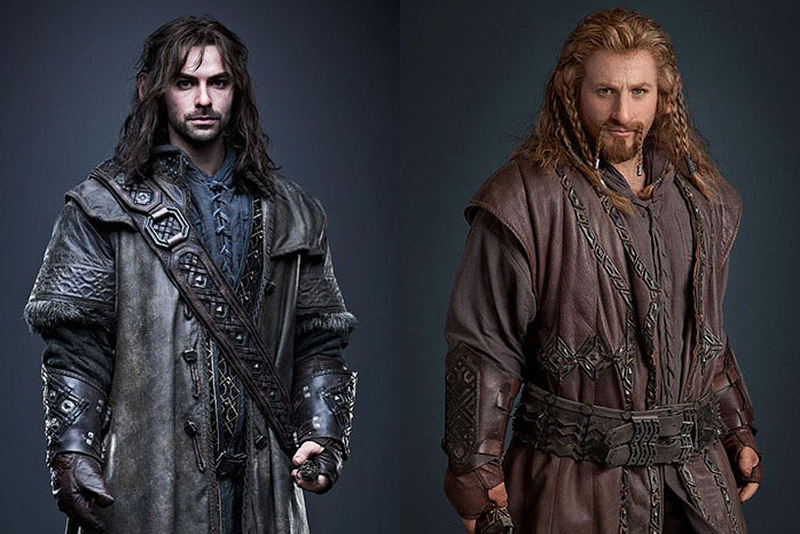 Younger brother to Fili, Kili is a loyal nephew to Thorin Oakenshield. Carefree and somewhat reckless, Kili has led a charmed and untroubled life to this point. Handsome and physically able, Kili possesses the invincible courage of youth. FILI (Dean O’Gorman) was born into the royal line of Durin and raised under the stern guardianship of his uncle, Thorin Oakenshield. A skilled fighter, Fili sets off on the adventure ahead with little idea of the challenges and dangers that lie before him. DORI (Mark Hadlow). A distant relative of Thorin Oakenshield, Dori is the eldest amongst his brothers Ori and Nori. Eternally pessimistic, with a natural tendency to expect the worst, Dori is nonetheless quite prepared to risk life and limb in order to get the job done. NORI (Jed Brophy). Perhaps the most elusive member of The Company of Thorin Oakenshield, Nori is often in trouble with the dwarvish authorities. Nobody ever quite knows what the quick-witted and wily Nori is up to, except that it’s guaranteed to be dodgy and quite probably illegal. ORI (Adam Brown). Younger brother to Nori and Dori, Ori is a talented artist, and can often be found drawing and writing in his journal. Polite and well-bred, he is used to being bossed around by his older brother Dori and is usually biddable, although occasionally his can surprise his fellow companions with his courage and determination. 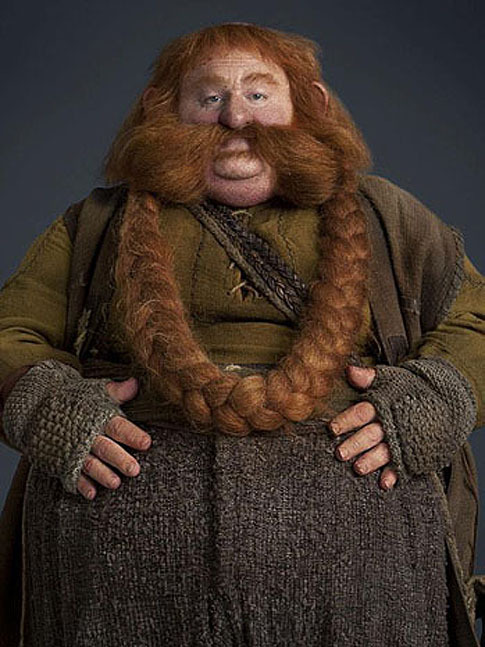 BOMBUR (Stephen Hunter). Brother to Bofur and cousin to Bifur, Bombur is the chief cook amongst The Company of Dwarves. His immense size and voracious appetite causes frequent problems – and laughter – for himself and The Traveling Party. 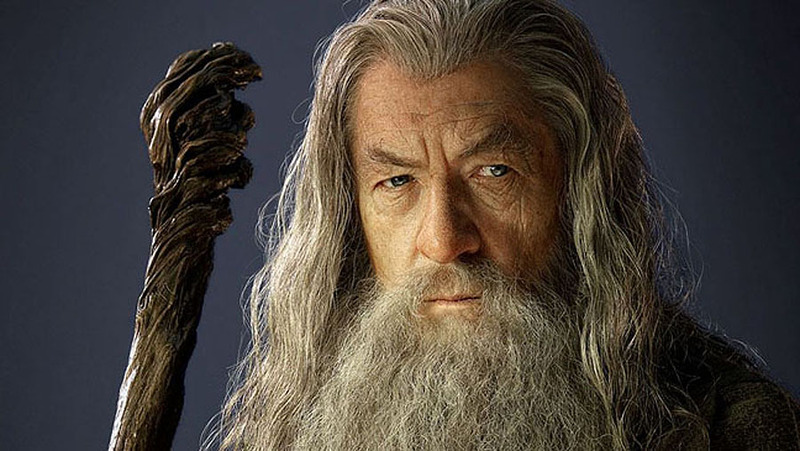 A production of New Line Cinema and Metro-Goldwyn-Mayer Pictures (MGM), “The Hobbit: An Unexpected Journey” will be released in the Philippines by Warner Bros. Pictures on December 13, 2012. 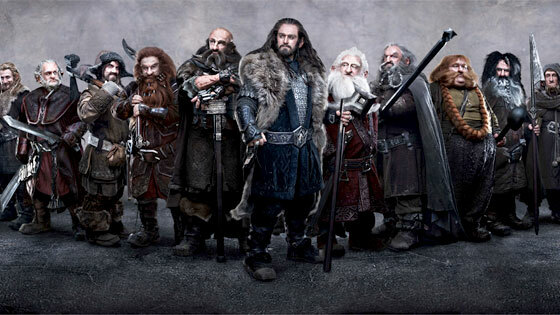 The second film, “The Hobbit: The Desolation of Smaug,” will be released on December 13, 2013, to be followed by “The Hobbit: There and Back Again” on July 18, 2014.